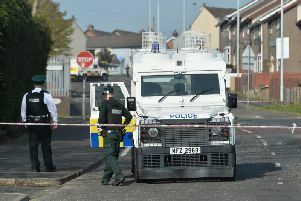 Police in Ballymena are appealing for witnesses following a robbery in the Smithfield Place area on Wednesday evening. Constable McBroom said: “It was reported that at 9.30pm a man was attacked by three men and received injuries to his face which are not believed to be life-threatening. The men then made off with items including a sum of cash and mobile phone in the direction of Clarence Street.